My daughter is currently a junior in college. I noticed that this year her Christmas wish list is made up of practical items. 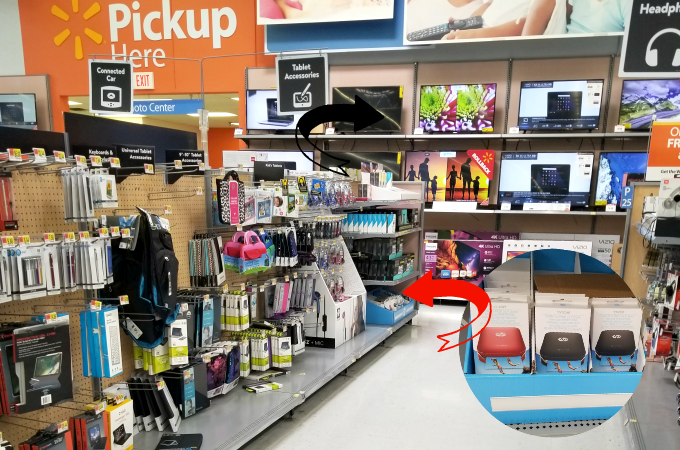 It’s not easy shopping for older teens, and as much as I’m tempted to give them cash, I love seeing their faces when they unwrap a gift they didn’t expect. I’m excited that I found my daughter a gift that’s both useful and fun. 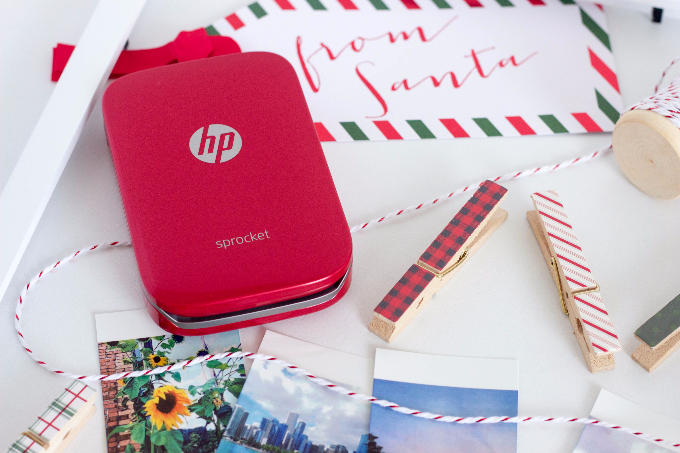 Say hello to the HP Sprocket Photo Printer. This portable printer not only looks cool, it lets you create instant 2 x 3-inch stickable snapshots from virtually anywhere. I’m old school and prefer saving physical photos in photo albums and keepsake boxes. Digital albums are great, but I’ve learned the hard way that digital storage is never 100% dependable. Imagine my excitement when I found a gift my daughter could use to print and save her favorite college moments. 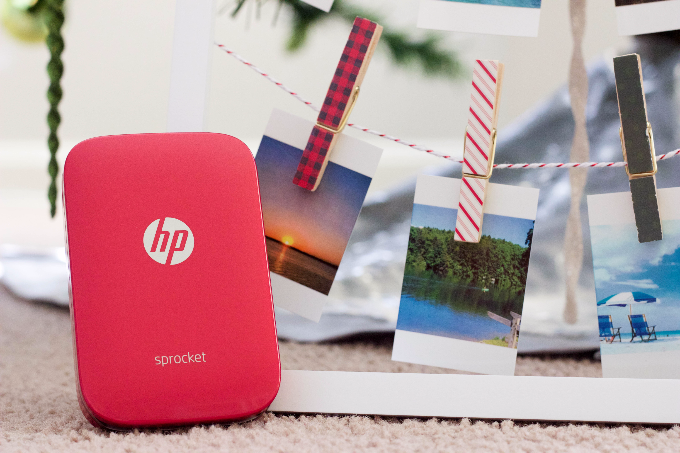 The HP Sprocket is about the size of a cell phone, so she’ll be able to take it anywhere. 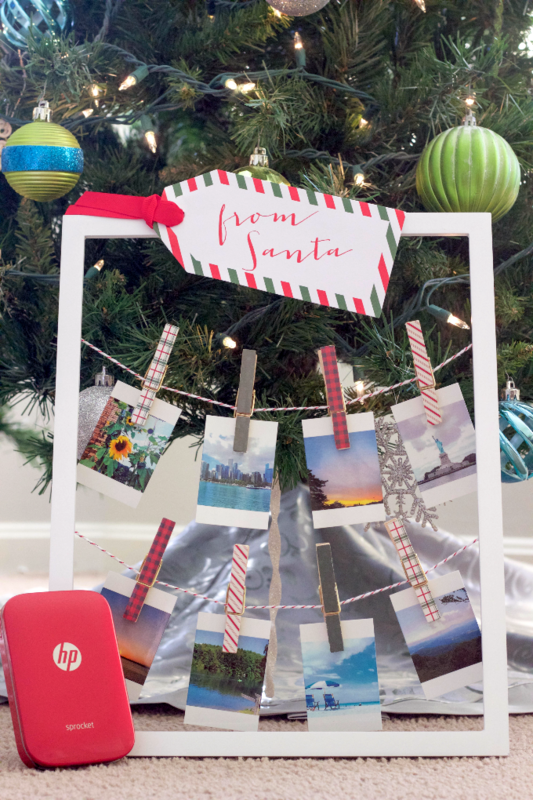 Not only will I be gifting this cool gadget to my daughter, I also created a photo display she can use to showcase her favorite images. Today I’m sharing how easy it is to create this fun display so you can make your own! Remove the glass and backing from frame. The frame I used is white which I kept as is, but if you use an older frame feel free to spruce it up with a fresh coat of paint. 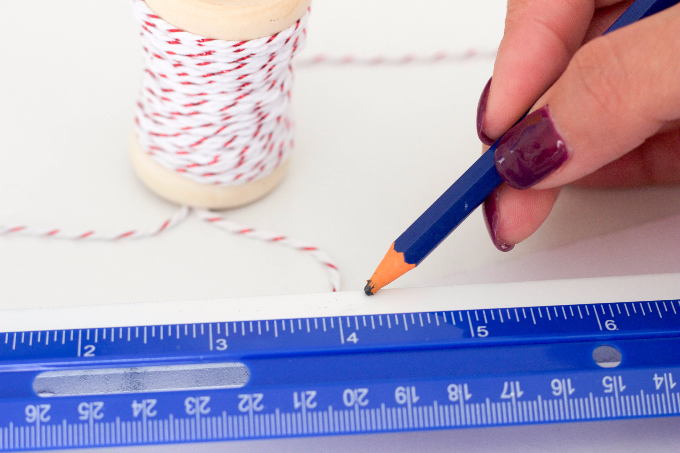 Measure how far apart you want the photos to be and mark the back of the frame with a pencil. The frame I used wasn’t large so I only made markings for two equally spaced out rows. Once the markings are made, cut baker’s string and hot glue it to the back of the frame. 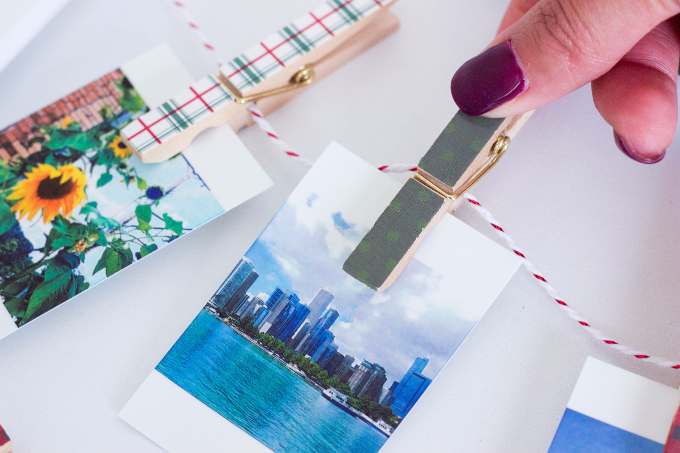 Use the clothespins to attach the photo prints. Find a fun spot to display your photos and enjoy! I can’t wait to give the HP Sprocket and the photo display to my daughter. 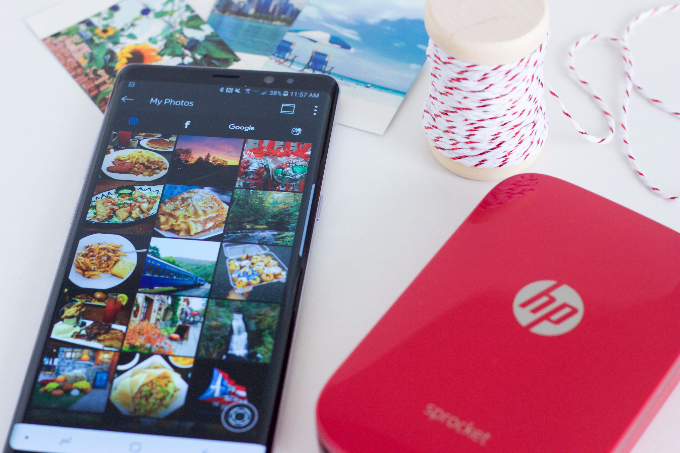 The free HP Sprocket app allows you to quickly customize and print your smartphone and social media photos using Bluetooth technology. I simply downloaded the app, selected my favorites images and printed. 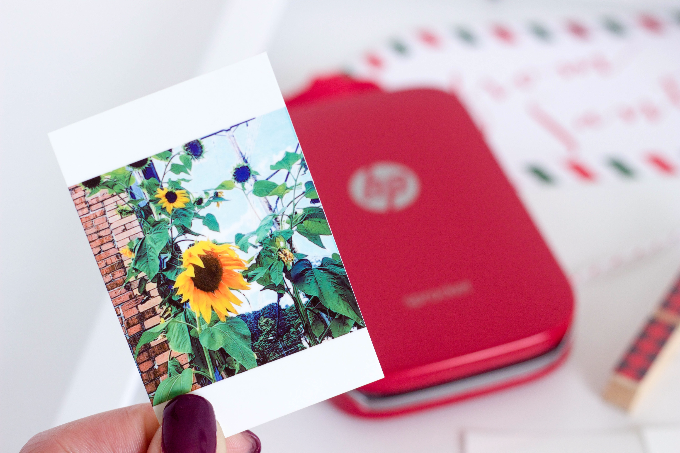 Note that when you purchase the HP Sprocket Photo Printer the needed HP ZINK Sticky-Backed Photo Paper comes with the printer, so you can use it immediately. 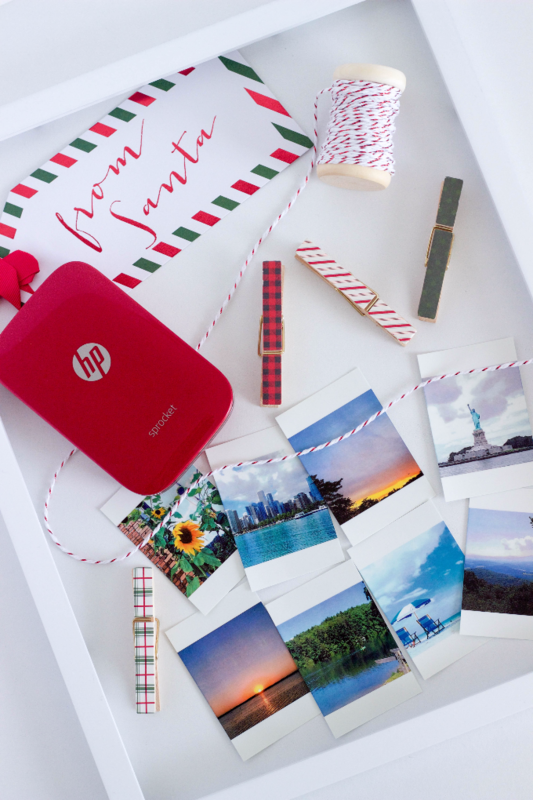 The HP Sprocket Photo Printer is new and now available at Walmart. It comes in red, black and white color options. It’s also compatible with Apple and Android devices. The perfect holiday gift for that special someone in your life or even to treat yourself!